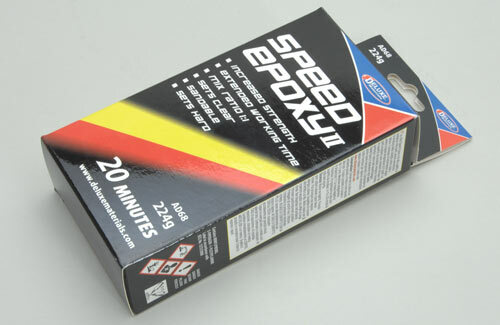 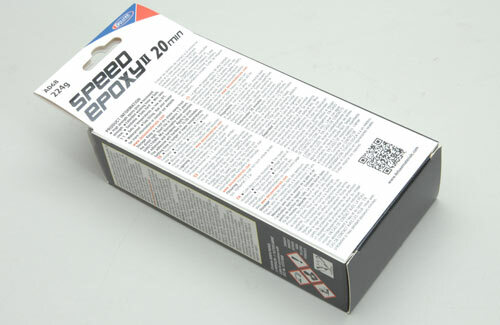 All Products > "S-SE04B Deluxe Materials 20 Min Speed Epoxy II - 224g (8oz)"
A new formulation of 20 Min Speed Epoxy. 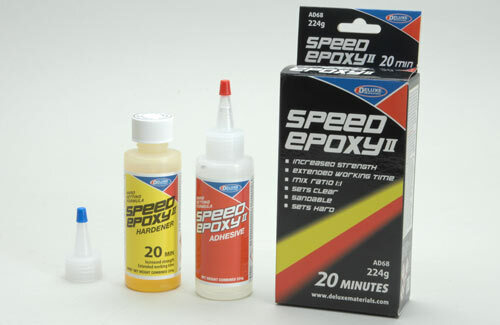 Featuring high strength, a rapid 20 min setting time and formulated to set hard, clear & sandable. 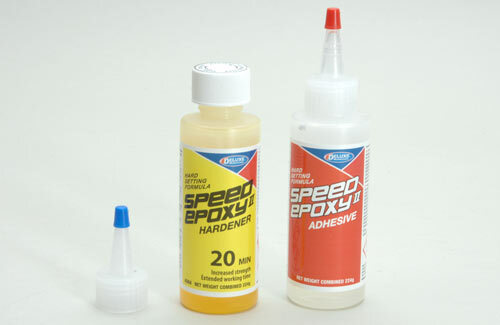 The new formula uses epoxy and hardener systems carefully matched to give high strength across gaps at 1:1 ratio, and yet tolerate slight mixing errors found in normal use. 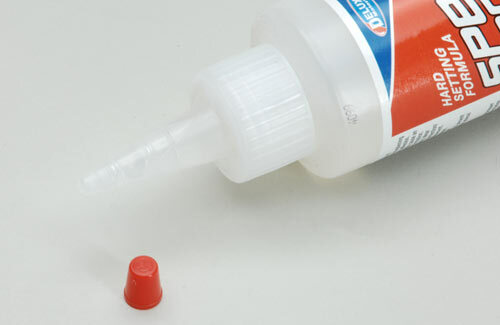 Packed in new attractive style box, bottle & easy flowing �witch�s hat� nozzle each with its own colour coded over-cap to match the label.